This quick tutorial is going to show you how to enable login as Root account in Ubuntu 13.10 LightDM login screen. NOTE: it is not recommended to do so unless you know exactly what you are doing. 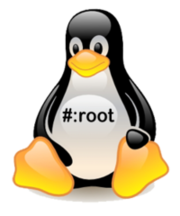 Root is a superuser, meaning it can do anything and everything – it is only meant for administrative tasks. Day-for-day tasks can bear a security risk that WILL be exploited if EVERYONE (or a large proportion of users) used root. Then run command to allow manually type in username and password to login in LightDM. Now reboot your machine and you’ll see a new option “Login”, type root and the password to login. Thank you so much Ji m for the help. I did all the steps and really works. Thank you but for me it says directory not exists. What should I do now? 3. When done, press ESC to exit editing. Then press : on your keyboard and followed by wq and hit enter to save the file. hi, thanks for your kindly answer that question. But it cannot be works when my linux is Ubuntu 14.04, do you know how to enable the “LOGIN” option during OS startup? please send me email if you know it, thanks in advance. 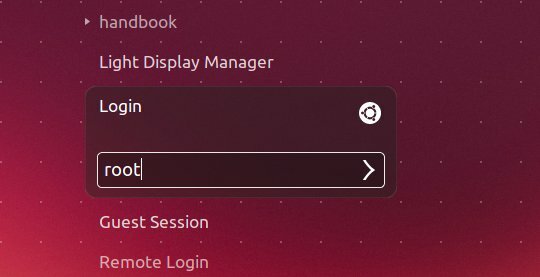 Thanks for your help to get access to “root” in Ubuntu. I am so much thankful to you. I hope you will share new things like this will help us well, as well as you too by knowing you through the world. Love you brother. I am in eager to learn more about Linux and its uses, mainly important commands those which are commonly used. hi jim.. i need your help coz i cant log in to my laptop.. it was sent to me brand new and i dont know the password soft ware in ubuntu 13.10 it is asking for a password but i dont know it. You may search how to restore forgotten password in Ubuntu in Google. There are quite a lot of good answers. Sir i tried this method and failed. I tried it because i clean installed ubuntu 13.10 desktop.